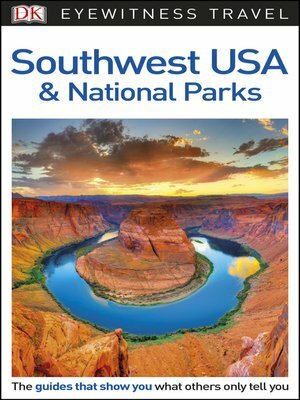 DK Eyewitness Travel Guide: Southwest USA & National Parks will lead you straight to the best attractions the region has to offer. Whether you're taking in the views at the Grand Canyon, gambling in Las Vegas, or enjoying the hot pools at Jemez Springs, this in-depth guidebook provides all the travel information you need. It covers the major areas from Utah, Santa Fe, and Albuquerque to Phoenix, Las Vegas, and Arizona, and explores the region's culture, history, architecture, entertainment, shopping, tours, and scenic walks. Discover DK Eyewitness Travel Guide: Southwest USA & National Parks. + Suggested day trips and itineraries to explore beyond the cities and towns. + Hotel and restaurant listings highlight DK Choice special recommendations. With hundreds of full-color photographs, hand-drawn illustrations, and custom maps that illuminate every page, DK Eyewitness Travel Guide: Southwest USA & National Parks truly shows you this region as no one else can.